Kerala had been blessed with exceptional and vibrant people who made the state proud by creating their own space in this existing world. Ranging from politics to fashion industry, we have got tons of god gifted personalities. Yet another malayali girl has proved to be a living example of being the third from the state to become an IPS officer. Merin Joseph, who cherished her dream to enter the civil services, has cleared the exam in her first attempt. The road to achievement did not come on a day, but was natured right from the childhood. 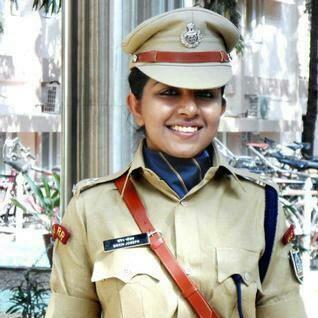 Merin, an IPS trainee at the Sardar Vallabhbhai Patel National Police Academy would be the 3rd Malayali IPS offer to join the Kerala cadre after R. Sreelekha and B. Sandhya. She is also indeed one of the youngest IPS trainees in her batch. Merin headed a four-member Indian delegation which attended the 'Y20' held at Sydney in Australia from 12th – 15th July 2014. The Youth20 summit was an official youth engagement programme of the G20 countries. Born and brought up in Delhi, Merin completed her BA Hons from St. Stephen's College, New Delhi. Even though she spent much of her life in the National capital, her knowledge of Malayalam and her familiarity with Kerala will be a bonus while at work. Even though after getting complete education, many women go behind conventional jobs or choose career which may not bring real benefit to them. Merin accomplished her dream due to her burning desire, dedication and structured plans about life. The self realization and self esteem really worked in the career of Merin who inspired more women to join the police force. Rather than blaming the system, a strong initiative to give a try will bring new hopes and aspirations for young generation women. Let the inspiring thoughts of Merin empower the women to strive and achieve their goals.